There is probably nothing better than a day of no school filled with bughouse and pizza. 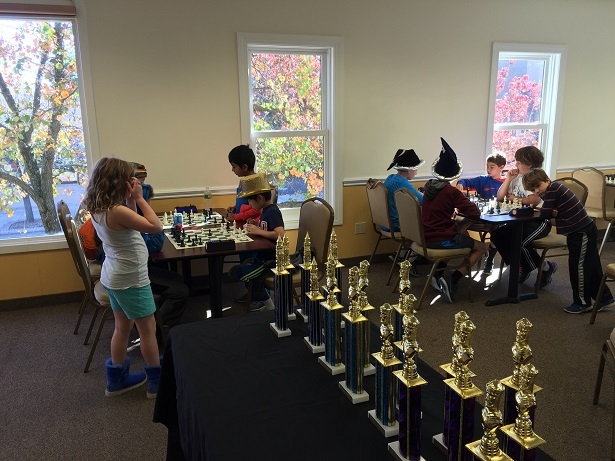 This is what the participants of our Bughouse Marathon enjoyed last Tuesday. The teams competed in two divisions: 6th – 8th grade and 3rd – 5th grade. It was an incredibly close competition. After a full day of bughouse, only one point separated the first place team from the second place team in the 6-8 division. Team “The Underdogs” (Giacomo Lowenstine and Dylan Young) scored 25 points to earn 1st place! “Those Guys” (Christopher May, Samuel Forfang and Shivang Kapoor) finished just behind in 2nd place with 24 points. 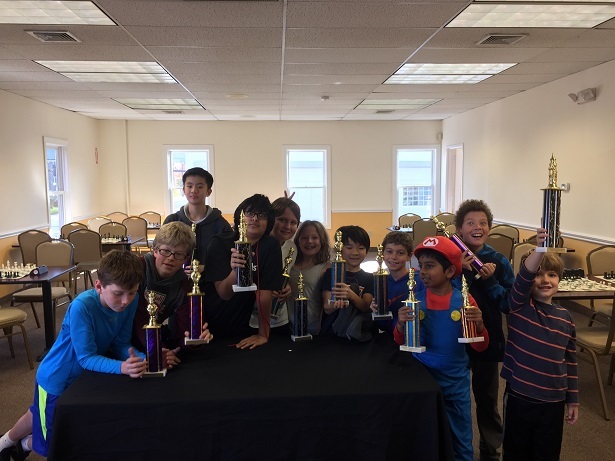 The 3-5 section was won by “Chess Super Heroes” (Aurelius Mlynar, Ian Hoffman, and Anthony Krause) with 22 points. Seraphina Mlynar, Aniket Shetty and Eddie Li of “We’re Done For” won second place with 7 points. Thank you to everyone who participated!